My interest in herbal medicine and natural healing began when my own children were small. 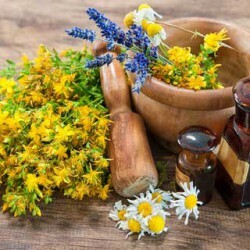 I studied herbal medicine at the School of Phytotherapy and with the International Register of Consultant Herbalists. After graduating as a herbalist I completed post graduate studies in Natural Fertility Management in 2000 at the Jocelyn Centre in Sydney Australia. I now work from my own clinic in West Sussex and Brackenbury Natural Health Clinic in London. I treat all age groups and health conditions by using non invasive diagnostic methods and provide herbal medicines and nutritional advice. I have treated successfully many couples with unexplained and diagnosed fertility problems and have given seminars to students and practitioners of herbal medicine. The first two sessions are two hours and there is approximately 1 month between appointments. Fertility follow-ups if necessary are charged at the general rate. The cost of medicines may vary and is generally £30 – £80 per month.